Join us in the skyclub tonight! This live radio event, broadcast on Radio Riel’s Steampunk channel, will celebrate all things spooky and scary. Gabrielle Riel to Disc Jockey. There will be prizes for best in male and female costumes! Halloween will be celebrated all around the world with costume parties, bonfires, divination, haunted attractions and trick-or-treating! We’re having a costume party in the NeoVictoria Skyclub and it’s a steampunk theme. Dress your avatar in scary Steampunk, Victorian, Mecha or Goth styles and join us in Machinima SIM (take the teleporter to the skyclub as rezz-point). The party is not a roleplay event and is open to all adult Second Life residents, however, child avatars are not permitted. Radio Riel will broadcast the event over their Steampunk channel with Gabrielle Riel as our disc jockey. Rentals in NeoVictoria --------------------------------- May is almost upon us! May your character get a house? Yes they may! Standard rentals in Machinima or FREE character rentals in the main SIM are available! Visit https://neovictoria.tv/rules/rentals/ to learn more OR contact Jhaesoph Foxdale to chat in-world. Meet And Greet, 9 - 11AM SLT http://maps.secondlife.com/secondlife/Tensors%20Flying%20Market/152/124/121 The NeoVictoria Project invites all citizens and wanderers to join us for our Meet-and-Greet on the Tensors Flying Market SIM at Fantasy Faire. Meet And Greet 5, 9 - 11AM SLT http://maps.secondlife.com/secondlife/Tensors%20Flying%20Market/152/124/121 The NeoVictoria Project invites all citizens and wanderers of the Fairelands to join us for our Meet-and-Greet on the Tensorsâ Flying Market SIM. http://maps.secondlife.com/secondlife/Tensors%20Flying%20Market/151/122/124 Join us for a meet-and-greet at our location in Fantasy Faire. 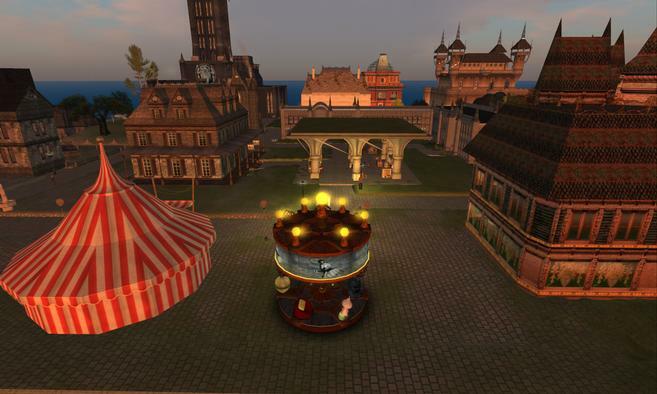 The event begins at 6 PM, SL-time!